Pomegranates are one of the gifts of autumn and winter, but as happen with some gifts sometimes they are quite difficult to unwrap. But once you learn this trick it will be no longer something difficult. 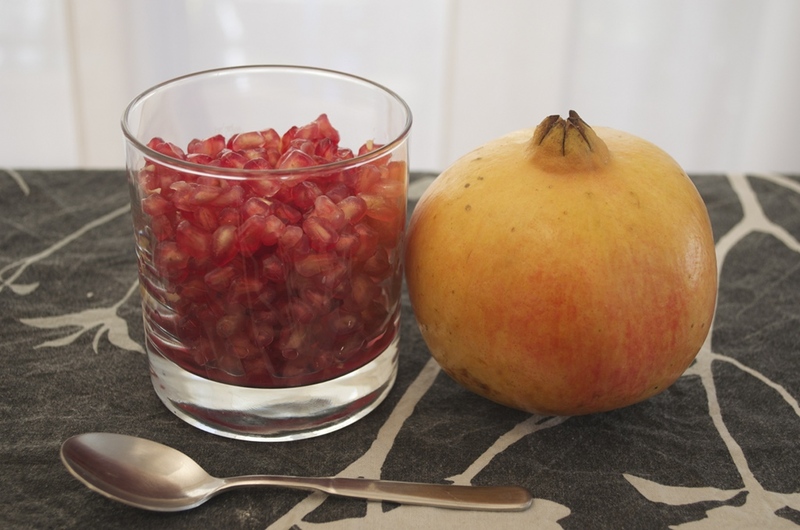 Start cutting the pomegranate in two. For each part place it over a recipient big enough and tighten a bit. Then bash a spoon against the pomegranate, but don’t hold the spoon near the part used to carry the food because it won’t work very well. Instead hold the spoon on the extrem, this way the bash will be much stronger removing the seeds easily. Rotate the pomegranate so continue bashing in the parts there are still seed until empty. 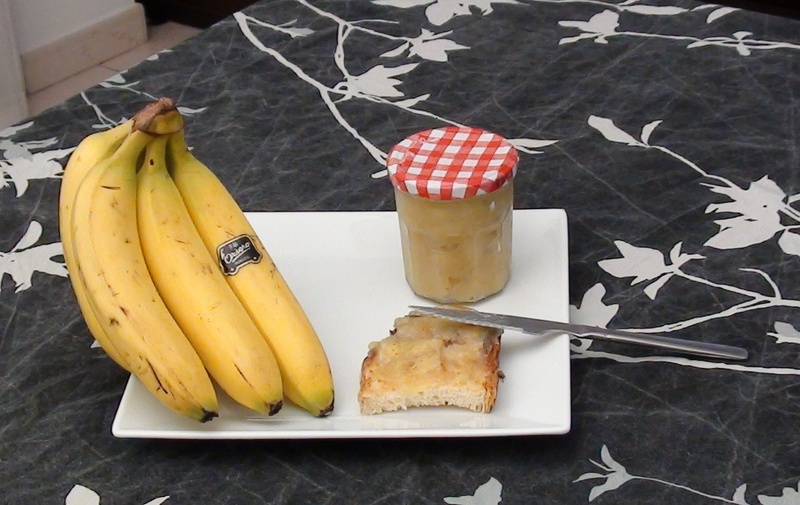 Cut the bananas in small pieces. Place the bananas in a bowl, add 150 gr of sugar. This sugar not only will give sweet taste but also will preserve the marmalade. Add the juice of half lemon. Mix until well combined and let rest for at least 2 hours. To sterilize the jar and its cover put them on separate pots with boiling water, maintain in boiling water for some minutes. Add the banana and sugar to a pot, set on the fire and move them so the mix don’t stuck to the pot. After some minutes banana will be soft, crush them while moving. When the marmalade is getting a dense texture shutdown the fire. Add the marmalade still hot in the jar until filling it, clean the edges and cover. Turn down the jar in order to vacuum, let stay in this position until it’s cold. Pineapple is a lovely fruit you can enjoy along all year. This fruit grows in tropical climates with a regular temperature all over the year so it can be cultivated at any time and crop when it is mature. But for my the problem with pineapple is how to make it beautiful to your guests, specially for kids, so in this first tip video I will show you a nice way to prepare it. Fisrt remove both ends of pineaple. Place in vertical and cut in 4 pieces. Remove the central part of each piece, with a knive. Place the knive as close as possible to the skin and cut in order to separe pineapple and skin. Then cut in small pieces (about 3 cms) and move around to find a nice presentation.